The Oregon Renaissance Band, directed by Phil and Gayle Neuman, is a large ensemble of 13 members that performs on a wide variety of historical instruments including early violin, recorders, sackbutts, serpent, violas da gamba, cornamusen, krummhorns, racketts, tartold, shawms, schreierpfeiffen, bagpipes, cittern, spinettino, tabor and other percussion. The group, formed in 1991, has performed for numerous concert series in the U.S. and Germany. 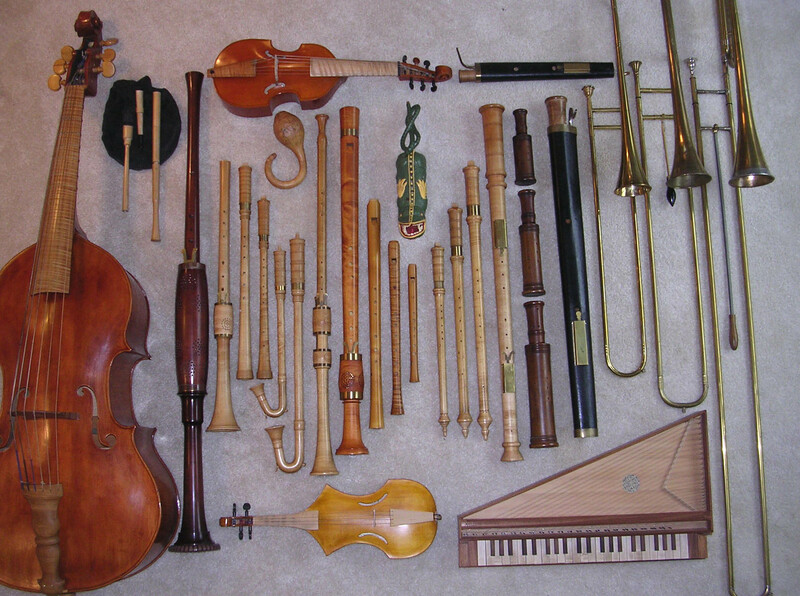 Various configurations within the band form a number of groupings including 5 singers, 4 sackbutts, 10 recorders, 4 bowed strings, 5 racketts, 5 cornamusen, 4 shawms, and many more. The ensemble specializes in performances with rhythmic precision, lively ornamentation, precise intonation, and unparalleled variety. The members are David Bryan, Sharon Cheney, Daphne Clifton, Ben Fitch, Lori Fitch, Polly Gibson, Andy Harris, Laura Kuhlman, Cindy Markham, Gayle Neuman, Phil Neuman, Kathryn Richer, and Esther Saulle. The Oregon Renaissance Band appears in the movie “Buddymoon” released in July of 2016, distributed by Orion. “For more than two decades, Phil and Gayle Neuman have added a vital dimension to Portlandʼs classical music scene: Renaissance music performed on authentic replicas of archaic instruments—spinettino, sackbutt, rackett, tartold, cornamuse, krummhorn, bells, tabor, plus more familiar early recorders, violin, viol, lute and guitar—from the time the music was written. Their dozen-member ensembleʼs annual concert includes music by William Byrd, Thomas Tallis, Michael Praetorius and other important composers of the time—including a Magnificat by one Charles Pachelbel, spawn of the Canon fodder, and selections from their splendid new CD of Renaissance Christmas music and other celebratory sounds, Now Make We Joye”. Past programs of The Oregon Renaissance Band have included “Early Women Composers,” “Music of Early Transylvania,” “Early Music of Scandinavia,” “An Early Christmas from Around the World,” “Music of Palestrina and Gastoldi,” “An Early Celtic Christmas,” “Tanzen und springen,” and many more. Loved your concert last night in Kelowna. Will try to get you played on CBC. Think about putting some performances on Youtube.